Unique cutting head design allows you to customize the hole shape. Unique head shape minimizes vibration when drilling versus ordinary paddle bits. Easy-to-replace hardened pilot screw for extra durability. Works in both 3/8'' and 1/2'' drills. 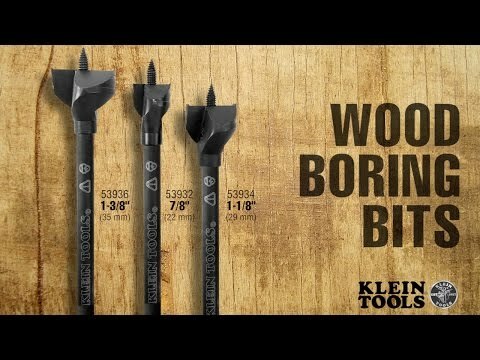 Far superior to auger bits, these Wood Boring Bits allow you to easily change direction when drilling holes to modify the hole size. New low-torque design greatly reduces the wrist fatigue because from standard auger bits. Optimized drilling flutes provide quick chip removal. The extra durable pilot screws are hardened to last longer. Always ensure that you and persons in the vicinity wear approved eye protection.